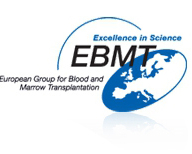 We continue to collect data to establish a comprehensive, quantitative map of patients being treated in Europe with cellular and engineered tissue therapies (i.e. any clinical treatment based on living cells excluding DLI, donor lymphocyte infusions, and hematopoietic stem cells for hematological reconstitution). The survey is backed by the ISCT and TERMIS-EU and supported by 3 further international organizations as shown above. Please send us an email if you have practiced such therapies in the past or have them in preparationfor the coming years. This way we can also ascertain the variety of teams capable of performing such therapies. You would also be listed in the report. We strive to make the results available to the scientific community much earlier than in past editions and to achieve this we ask for your response as soon as possible. Please do not forget to identify in the questionnaire to which of the 5 supporting societies, if any, you belong. As always, if you know of any group that is performing such therapies please forward this message to them and encourage them to participate. This will help us to have a much more effective impact on the scientific, clinical and regulatory aspects of this continually evolving sector of cellular and engineered tissue therapies. Previous survey reports which include the number of treated patients, without any reference to clinical outcomes, information on specific cell types, processes and delivery modes in use as well as an appendix listing active teams together with the survey form and guidelines can be found on this page. If you have treated patients with cellular therapies or engineered tissue therapies, please complete the simple survey form (pdf or excel format) and send it to Max Gay by January 13th, 2018 by E mail: max.g@usb.ch and help have an effective impact on the scientific, clinical and regulatory aspects of cellular tissue therapy." A yearly publication presents the data, summarizes the trends and lists in the appendix the names of the 150 or so participating teams. The report includes the number of treated patients, without any reference to their clinical outcome, information on specific cells types, processes and delivery modes in use. If you know of any team that is performing such therapies please forward this webpage to them and encourage them to participate. The guidelines for reporting data (updated) indicate what information is needed in each part of the form. Please read them carefully before completing the survey. Be sure to indicate to which society/societies you belong. Thank you for contributing to the success of this program and to a more transparent development of the field!